Regina residents know how much there is to explore in the Saskatchewan area and want to take full advantage of every chance they get to spend enjoying the scenery and bonding with nature. To get where they need to go with their friends and families Regina drivers need to have access to tough, strong, and fearless trucks and SUVs that are ready for adventure. With the great lineup of cars over at Crestview Chrysler Dodge Jeep Ram, this is a simple task to achieve. Vehicles that have the space and power necessary to be fit for adventure don’t all have to be trucks. In fact, Crestview Chrysler Dodge Jeep Ram has an excellent lineup of haulers that consist of trucks, SUVs, and minivans waiting and ready to work for you. These haulers all share some common elements: They are spacious, comfortable, convenient, and versatile. Each of the haulers that are available in the lineup offer each driver with plenty of cargo room and passenger space for their needs. Whether it’s a truck with a lot of cargo bed space, like the Ram 1500 which provides 74.7 cubic feet of truck bed cargo space, or it’s a minivan like the Chrysler Pacifica which can provide up to 140.5 cubic feet of cargo space behind the front seats you can count on these haulers to give you ample space for hauling cargo and passengers. Another commonality of these vehicles is that they’re all loaded with comfort enhancing features to ensure that you’re always able to have an enjoyable ride regardless of where you’re going or what you’re hauling. 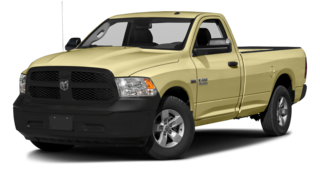 Take the Ram 2500 for example, while it has the appearance and performance of a rugged truck the interior of the vehicle is outfitted with features meant to provide drivers and their passengers with the highest level of comfort. Some of the features offered on the vehicles in this lineup include things like heated front seats, adjustable front seats, premium quality fabric seats, and bucket seating. To ensure that Moose Jaw drivers and their passengers can ride to their destination completely carefree, these haulers provide a host of innovative and convenient high-tech features that help make driving easier and safer. From advanced safety features to driver-assistive technology these vehicles have it covered. Some features you can expect to see carrying out this job on most of these vehicles include rear backup cameras, Forward Collision Warning Systems, Lane Departure Warning Systems, Park Assistance, and cruise control capabilities. With these features in play, there’s no reason to worry about safety or security on these haulers. One of the best perks provided by this impressive lineup of haulers is their ability to be and do more than what meets the eye. These vehicles are incredibly versatile and are able to easily make a switch depending on what kind of vehicle you need at the present moment. 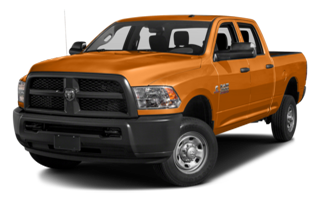 A good example is the Ram 3500 which is built to function as a heavy duty work truck, but has the comfort and handling capabilities to easily work as a daily driver or a camping assistant. With this kind of versatility, it doesn’t matter whether you have a truck or a minivan, you’ll have the freedom to have the kind of vehicle you need at any given time. 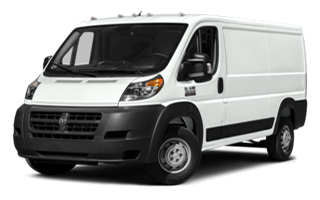 Ram Promaster – A powerful work van that has more cargo space than you’ll ever need at 462.9 cubic feet of space. Loading up all your cargo has never been easier than with the flat-load floor. 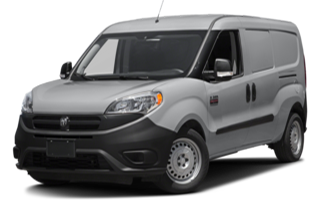 Ram Promaster City – A sister van to the Promaster, this fuel efficient vehicle is able to take you wherever work calls with 11.2 L/100 km city and 8.1 L/100 km highway. 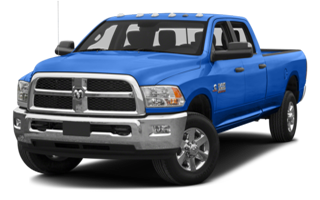 Ram 2500 – A versatile work truck that offers a multitude of powertrain options to match any Saskatoon driver’s needs. Ram 3500 – Powerful is an understatement for this aggressive truck that has the ability to output 900 lb-ft of torque. Get the Haul Out There with Crestview! With so much potential, these vehicles are ready to get to work completing any task you need them for. Get fitted for your very own hauler today by visiting Crestview Chrysler Dodge Jeep Ram at 601 Albert Street in Regina and checking out our available inventory. You can also contact us by phone at 306-525-5411 and we’ll be happy to answer your questions or set up a test drive for you.